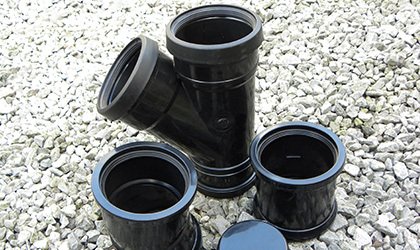 A comprehensive range of rainwater, soil and underground drainage products. 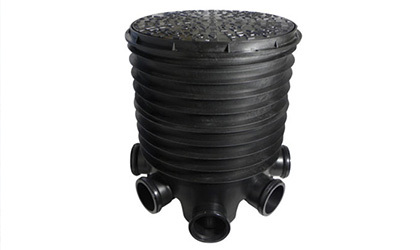 The standard rainwater range consists of four style variants; half round, square ogee and deepflow. There is also a choice of round and square down pipes. All systems are available in White, Brown and Black. Deepflow is also available in Anthracite Grey. 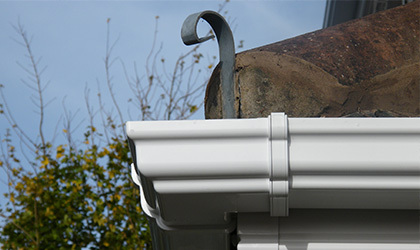 Low carbon versions of these standard gutter and downpipe profiles are also available. Approximately 84% of these gutter and pipe profiles is composed of recycled material. The manufacturing process requires less energy and so a 70% saving in CO2 output is made during production. 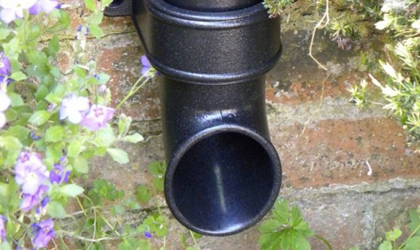 Round, Ogee and Deep cast iron effect profiles and mouldings in black, with round and square downpipe systems to match. A light weight product with a tough surface that is cleanable and scratch resistant. New downpipe fixing components have been specially manufactured to enhance the traditional look of the system. An extremely tough, high capacity gutter for use on commercial buildings, hotels and flats. 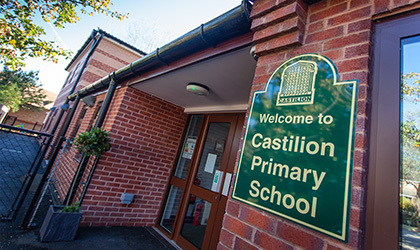 Its rugged construction ensures that each fascia bracket is capable of supporting more than 125kg. SuperDeep 170 uses a 110mm downpipe system and has an independently tested, market leading flow rate of 4.3l per second when set level.